Dan Goodrich, President of Goodrich & Watson Insurers, Inc., has a degree in Business Administration from Campbell University in North Carolina. 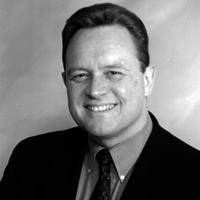 He started his insurance career in 1984 as a Personal Lines Sales Associate with Drucker & Falk Insurance Agency. In 2002, Dan and his partner Pam Watson purchased the former Drucker & Falk Insurance Agency in Newport News. He is a past president of the Independent Insurance Agents of VA-Peninsula. He also served as a past board member for nine years with Mid-Atlantic Teen Challenge, a faith-based rehab facility for troubled youth. Dan and his wife currently reside in York County with their three children. He enjoys coaching youth sports and being involved with his kids’ activities. His passion for helping others involves many aspects of his life. 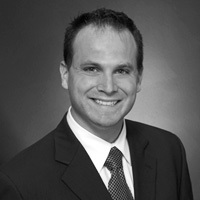 Matt Andrews has worked with Goodrich & Watson since June of 2005. As a Property and Casualty licensed insurance agent, Matt handles our personal lines accounts. Customers often appreciate his willing spirit and attentive attitude toward their accounts. Born and raised in Hampton Roads, Matt understands the unique needs of our clients. He and his wife reside in Smithfield, VA.
Verna Cremeans is a Property and Casualty agent that comes from a long line of agents in her family. After receiving her Associates Degree in Business Management, she began her insurance career in a family owned Ohio agency in 1996. She took some time off to raise her kids and returned to the business with Goodrich & Watson Insurers, Inc. in 2009 focusing on Commercial Lines. Verna has volunteered with the Peninsula SPCA and still continues to support them. She loves staying active with her husband, two kids and three dogs. She enjoys CrossFit and you might even catch her playing on the kickball or softball field. Kelly Easterling is a Personal Lines Service Agent who joined Goodrich & Watson in July 2016 as a licensed Property and Casualty agent. Kelly has spent time working in several different areas of the insurance field and brings more than 16 years of customer service experience with her. She thrives on providing excellent experiences working for our clients! Born and raised in Hampton, VA, Kelly enjoys spending her weekends on the beach and traveling with her husband. Ryan Palmer joined our team April, 2017 as a Personal Lines Service Agent. He’s working on earning a degree in Finance, and brings with him five years of experience in Customer Service. He’s looking forward to building a career in Property and Casualty Insurance. Ryan enjoys hiking, camping and spending time with his dog. He had previously spent a lot of time volunteering for the SPCA. A lifelong resident of Hampton Roads, Ryan remains active in his community and is excited to get to know each of our clients personally. 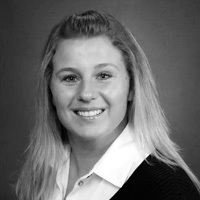 Julie Camp, a Personal Lines Sales Agent, came to Goodrich & Watson from a nursing background. She received a BSN from the University of North Carolina at Chapel Hill. She is excited to be a member of the Goodrich & Watson team. She is originally from Winston-Salem, NC and enjoys being outdoors and often goes hiking, biking and camping with her husband. Julie is a big family person and enjoys spending time with them when she can. John Jewell is one of our Personal Lines Sales Agents. John joined Goodrich and Watson September, 2017. He is bringing 11+ years of customer service experience to our team. John was born in Douglas, Georgia but he was raised in Poquoson, VA. He and his wife currently live in Williamsburg and just had their first child back in December 2017. They also serve as the Youth Leaders at Upward Church where they get to share their faith with today's youth. His family enjoys spending time with their mini Australian Shepherd, Kal, as well as their family and friends. John can’t wait to begin creating relationships with our clients and build his career with Goodrich and Watson. Jennifer Munson joined our team October 2017 as a Commercial Lines Service Agent. She is bringing in over 20 years of customer service experience across multiple industries. She graduated from CNU with a B.A. in Psychology with a concentration in Industrial and Organizational Psychology. Jennifer was born and raised in Virginia and currently lives in Williamsburg. She enjoys going to the movies, reading, and doing home projects. More than anything, she loves spending time with her husband, three children, and black lab Molly. She is looking forward to building relationships with our commercial clients. Ron Lowder was born and raised in Hampton, VA, and he has had a passion for music since the age of three. After attending Berklee College in Boston and touring through his twenties, Ron settled back in the Hampton Roads area and founded the local instructional program Academy of Rock Music in 2007. He now looks forward to his new journey in joining the Goodrich & Watson team as an insurance sales agent. Ron and his wife currently reside in Newport News with their four children. He enjoys sports activities with his kids and you can still occasionally find him performing at local pubs on the weekends.